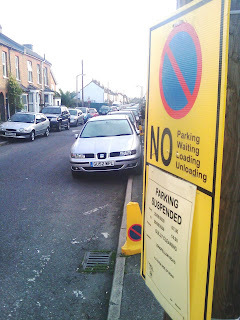 'I can't believe that the entire street has completely ignored the 'No Parking' signs!! I took this photo just after 7.30 when the parking suspension came into force. Best move those cars quickly then!